The D & R Baseball Field is accessible from the east end of Park Street. There is a Parking lot at the east end of Park Street and off of Riverside Drive. 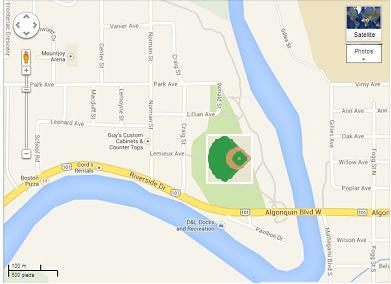 The field is directly north of the Mattagami Bridge connecting Riverside Drive and Algonquin Blvd.